Hi, I’m Mary at Home is Where the Boat Is. 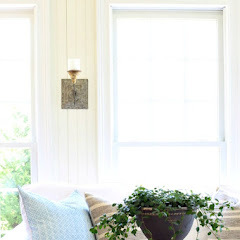 We live on Lake Norman in North Carolina, hence the name :) I’m honored and thrilled to join Kim and her readers at Savvy Southern Style to share my favorite room! My Potting Shed~ built last year. 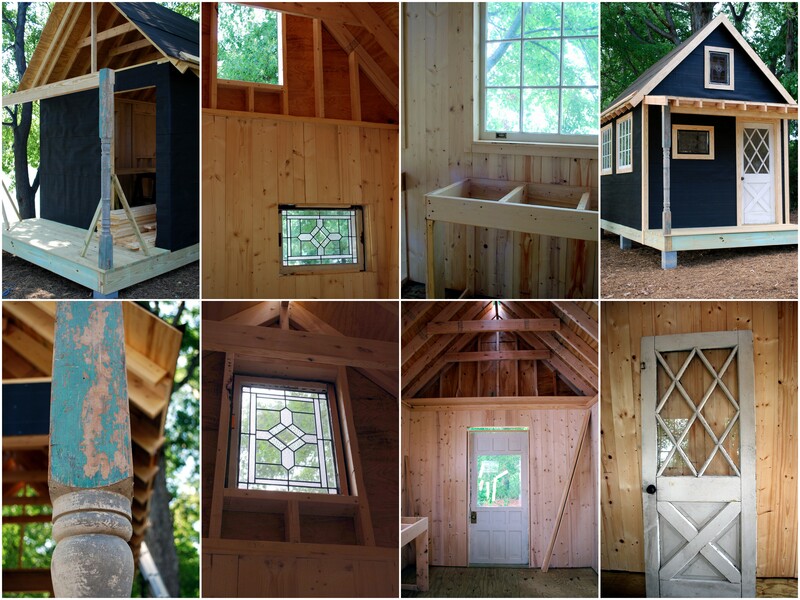 This project was years in the making in the planning & procrastinating stage, but only took about a month, starting and stopping due to a delay in materials, and a project I was thrilled to have completed in 2012! 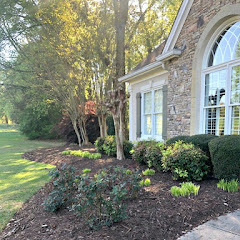 Landscaping is at the top my list of projects this year. 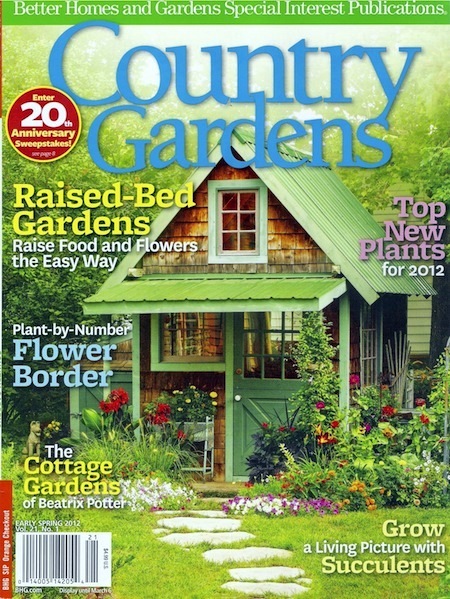 The exterior was inspired by my 2012 early spring issue of Country Gardens Magazine. We didn't have any plans, just a rough sketch from ideas and pages saved from magazines. 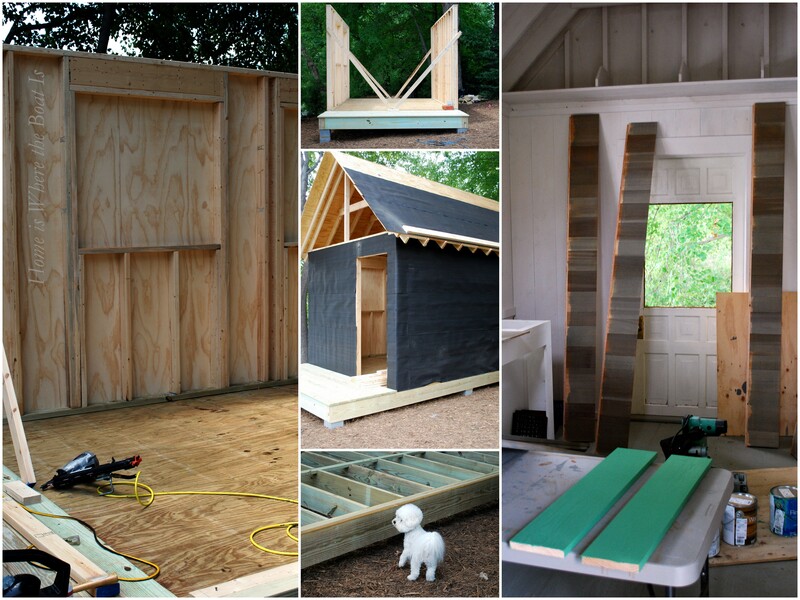 The exterior is 10 x 16~ the size dictated by the space we had under the trees and already seems too small! I splurged on a pair of leaded glass windows, one hung horizontally and one hung vertically in the front. 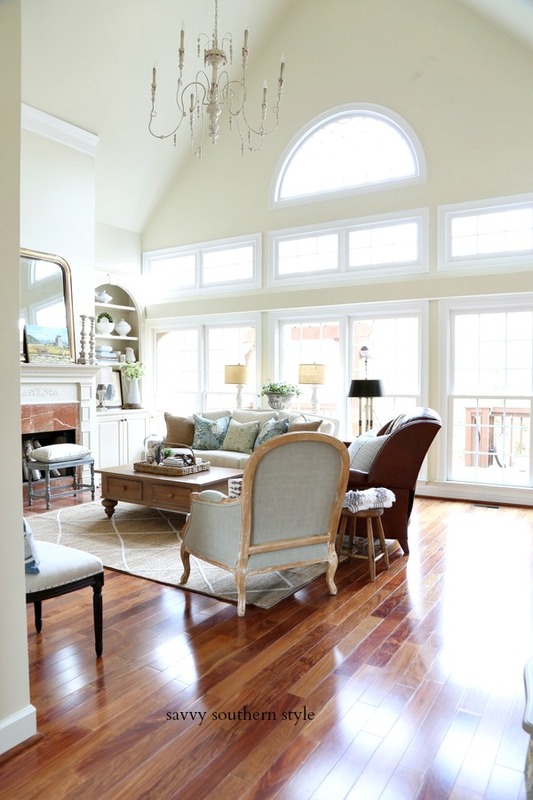 A pair of sash windows on the side were picked for $45, installed to let light in but not to function, over with built-in work areas. 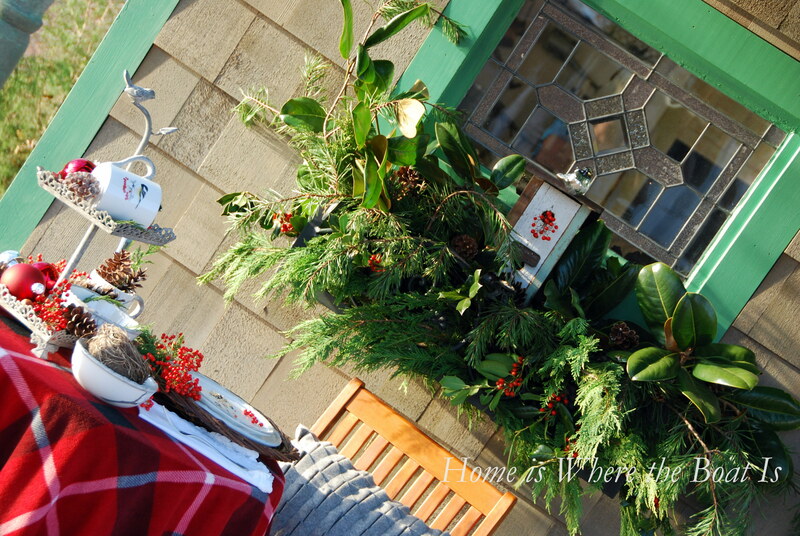 Window dressing was one of my first projects to tackle. 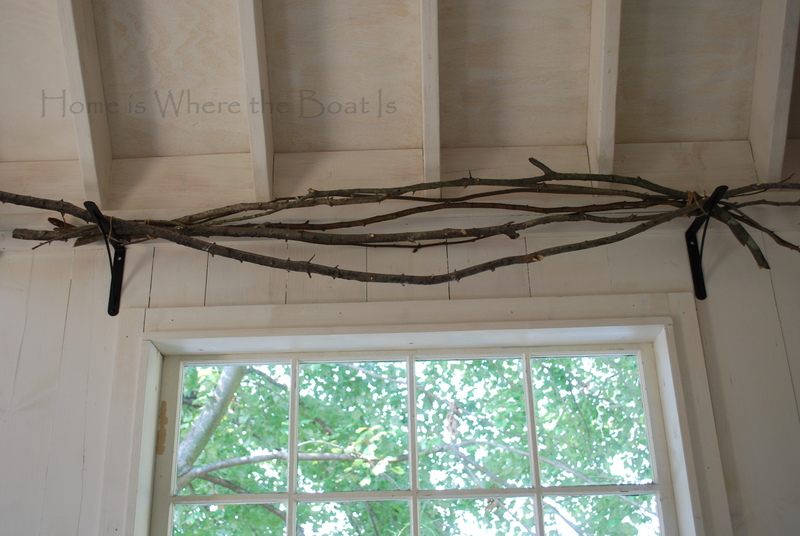 Drapery rods supplied by Mother Nature were tied together with twine and then secured with twine to shelf brackets. A roll of landscaping burlap from Lowe’s was ideal to dress & drape, and affordable~ one roll of burlap fabric, 3 feet x 24 feet, was $9.78. 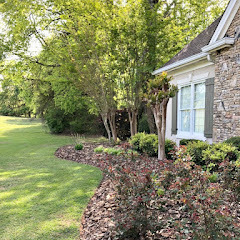 Landscaping burlap has an open weave and is much lighter in weight than regular burlap~ so I didn’t have to worry about the weight on my branch drapery rods. My work areas are 4 feet x 2 feet. I wanted a work surface that would be functional, economical, and not look too finished. I found a sheet metal shop that does HVAC duct work to cover my plywood counters with galvanized sheet metal and attach a back splash. 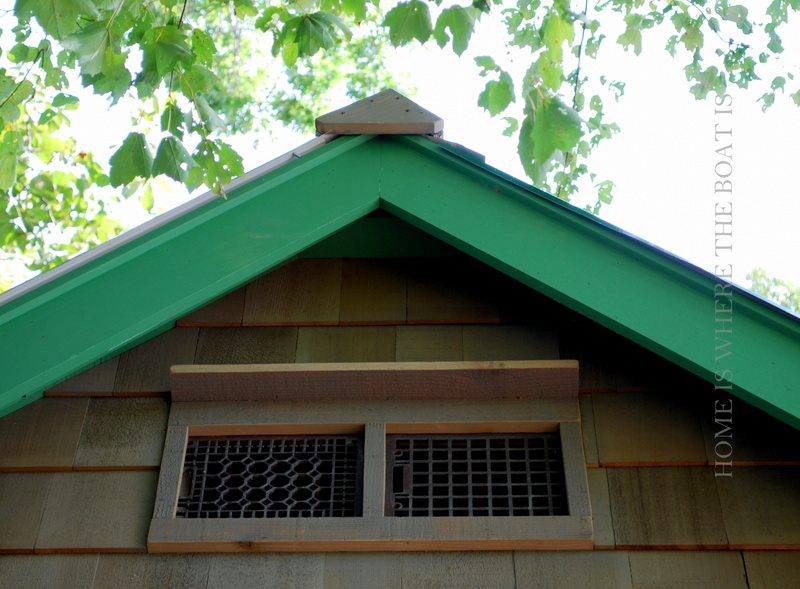 My husband came up with the idea of repurposing a pair of salvaged heat register covers to use as gable vents instead purchasing a new gable vent. My grandmother's neglected and very pink chest of drawers got a new home and little facelift, courtesy of Annie Sloan Chalk paint, now just a hint of the pink showing through. 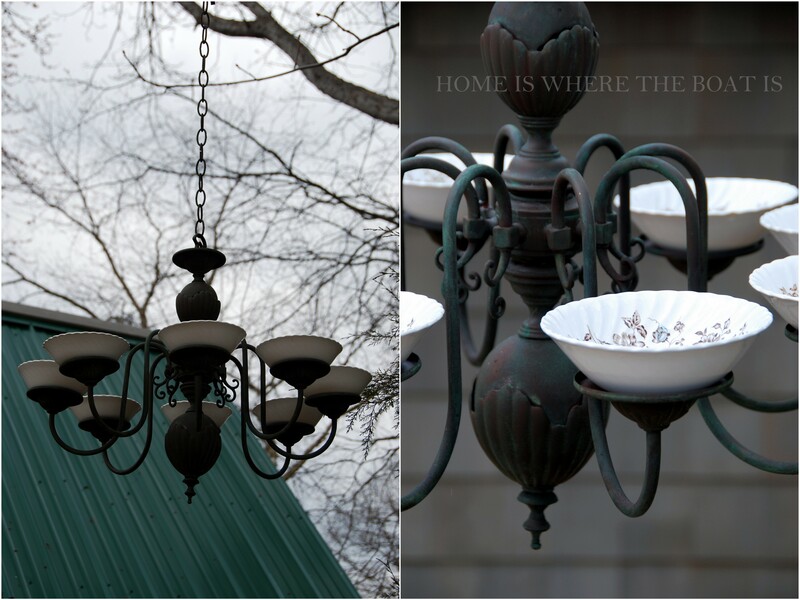 like a Bird Feeder Chandelier, also with dishes. I have a Potting Shed tab at the top of my home page, if you're interested in more information and to see how she's grown! 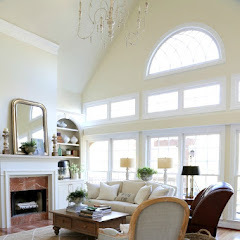 I am always in awe of your painting projects and design expertise, as well as your energy! Thanks so much, Mary for sharing your wonderful garden shed. I have been wanting one for years and hope I can nag enough to get mine started this year. 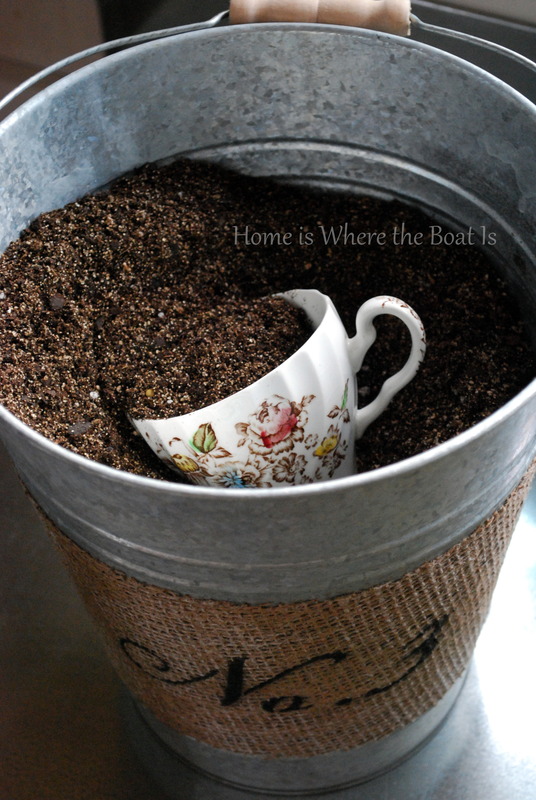 If y'all want some more wonderful inspiration be sure and hop on over to Home is Where the Boat Is and look around. Mary is a fabulous stylists and I can just get lost in her photos taking in all the details. If you have missed previous favorite room guest posts be sure and check them out here. So many beautiful rooms have been shared. Yes, so very charming!! I just love it and appreciate all the details she gave on the cost of some of the extras added to it. Popping over to her blog now. She's a NC neighbor! 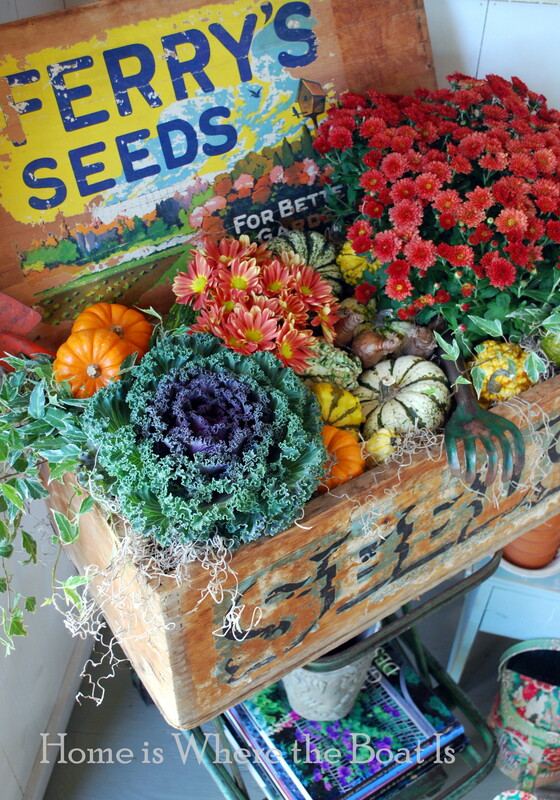 How totally and wonderfully awesome this sweet little potting shed is! I could spend hours, even days in there potting and puttering around! That's so much fun you would never want to be in the house. 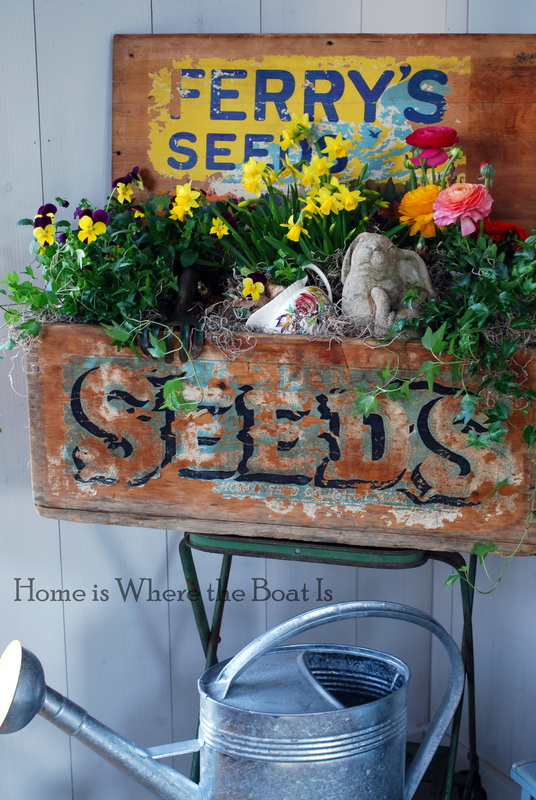 I LOVE Mary's potting shed! Such a great place to putter around. It looks like it would be a nice retreat, too. It's decorated beautifully and if we hadn't moved, I would have loved to have done something like this with our shed on Long Islan. 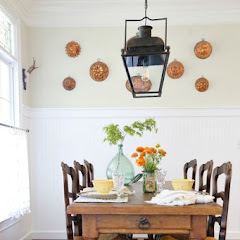 Love the burlap window treatments and the cafe curtains across the cabinet bases. Great luck finding such a pretty pair that worked. Thanks for sharing Mary's favorite room, Kim. 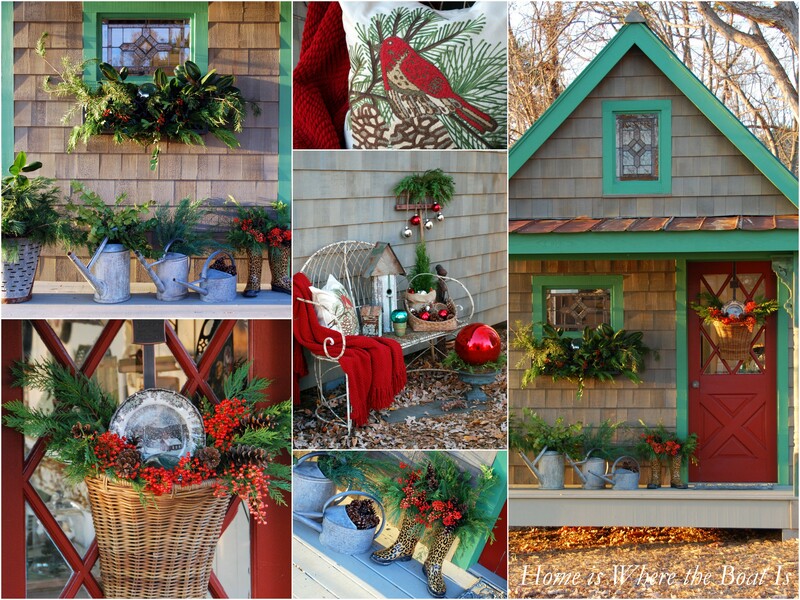 Mary's shed is so inspiring, and I wouldn't be surprised to see it featured in a gardening magazine soon! All the details are just amazing, and I could get lost in looking at the photos, too! Kim~ Thanks so much for inviting me to share my favorite room! I hope you get your very own sooner rather than later and oh the painting projects you would have then! :) Have a great weekend! Thanks so much for sharing ladies. Going back for another peek. The burlap curtains... thinking I may steal, ahem , I mean copy them. What a fabulous potting shed, I just love it! 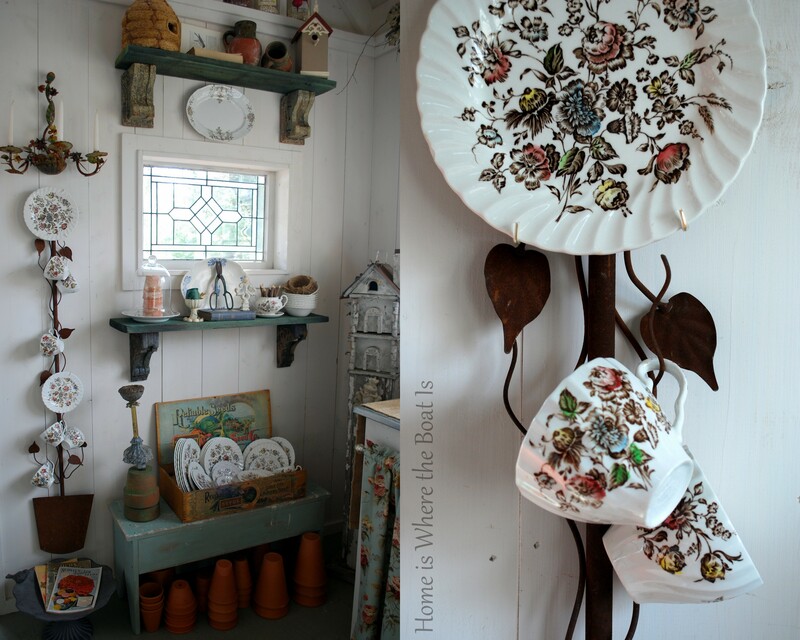 Mary's pretty little potting shed is a favorite of mine. Wish I had one just like it. Thanks for this feature, Kim! As I kept scrolling down I kept saying aloud "oh my goodness!" This room is wonderful! I am headed over to visit her now. Thanks so much for sharing Kim! J'adore cette charmante petite maison... Mon atelier lui ressemble un peu, pourtant il est un petit peu différent. Wow ~ this is so adorable, I love everything about it. I'll definitely be popping over to Mary's site. Thanks for sharing it, Kim! Oh my! What a great way to kick off a Spring weekend! 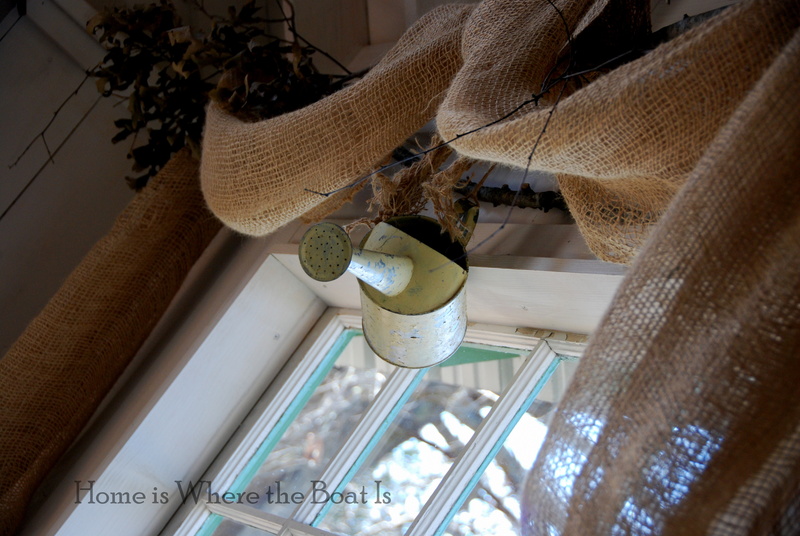 Mary's potting shed is perfection, beauty and creativity! Mary's Garden Cottage is something that I can only dream of...it is truly the most magnificent Garden Cottage I have seen...Mary is such a talented and creative person...I gain so much inspiration from her...truly! !...I never tire of seeing this incredible thing of beauty! 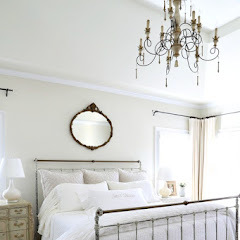 !...Thanks Kim for presenting Mary's Favorite Room...Have a great weekend! Wow, what a little piece of paradise. It is simply to die. I'm so jealous!! Thanks for sharing this with us!! 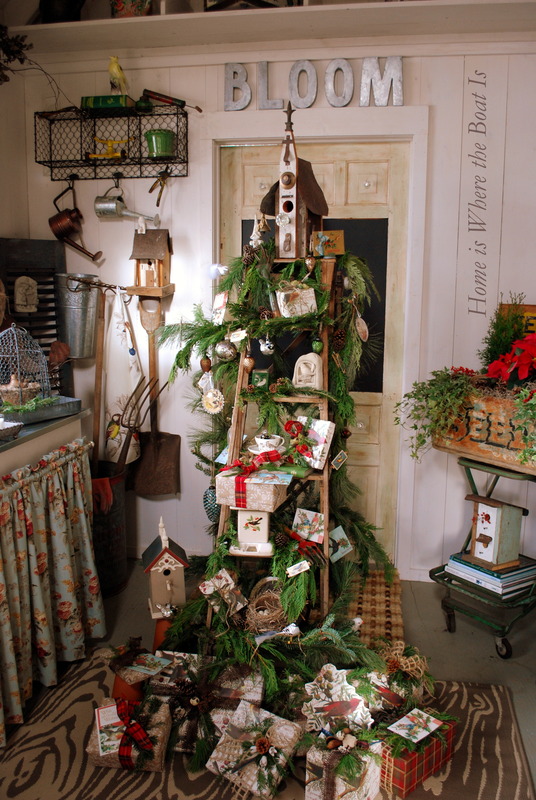 wonderful potting shed!! Oh how I wish I had room for one! That's the prettiest shed I've ever seen!!! What an awesome space! Your shed photos...the splendidly soft colors...all the light streaming through the windows...I love it all! Hi Mary, nice to meet you. We are practically neighbors...we live in Tega cay SC:) This is the most charming shed I have ever seen! I really enjoyed my stay. 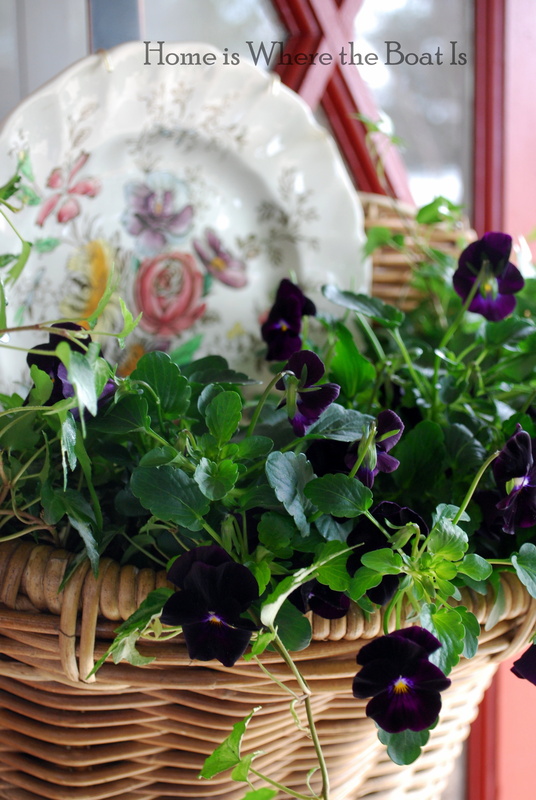 Hi Kim & Mary, I follow both your blogs and enjoy them so much! I'm really enjoying these favorite rooms, Kim. 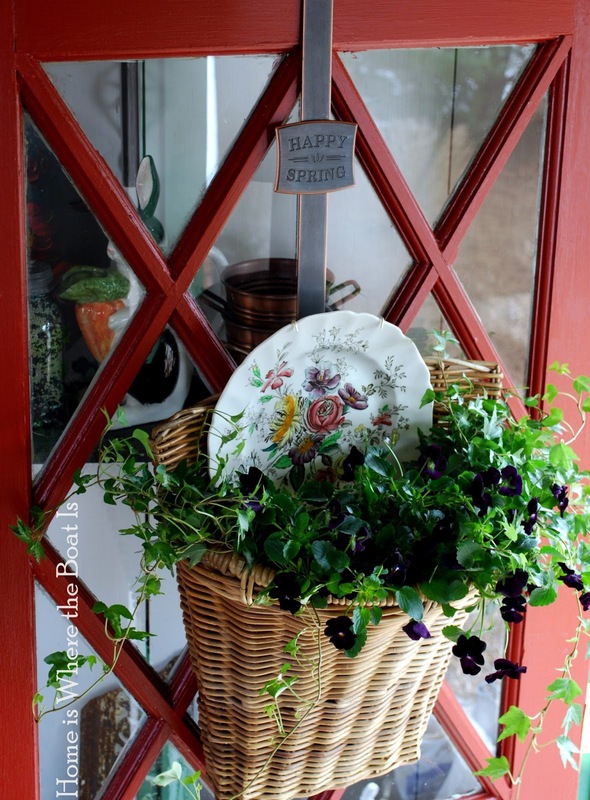 Thanks, Mary, for sharing your lovely potting shed with us. That would be my favorite room too! She has put so much effort and love into making it a special place. What is her blog address? Can't seem to find a link in the post. Mary your potting shed is so charming. I love it all especially using the old vents. Everything is just beautiful. I am hoping to get a potting shed this summer too. I got a lot of inspiration from yours. Thanks for sharing. Mary's garden shed is by far the cutest I've ever seen. It would be a favorite site to hang out for me too! I have a potting shed which looks NOTHING like Mary's great place!! Mine is filled with lawn stuff! Maybe I need to plot a little takeover!!! Power to the People...or gardeners!!! I am in love with her shed!!! Mary's blog, as well as yours are 2 of my favorites. You both do a beautiful job with your incredible creative talent and sweet enough to share your gifts. It's a good day in blogland when 2 talented people get together! This is like a grownup playhouse!! So cute and wonderful. 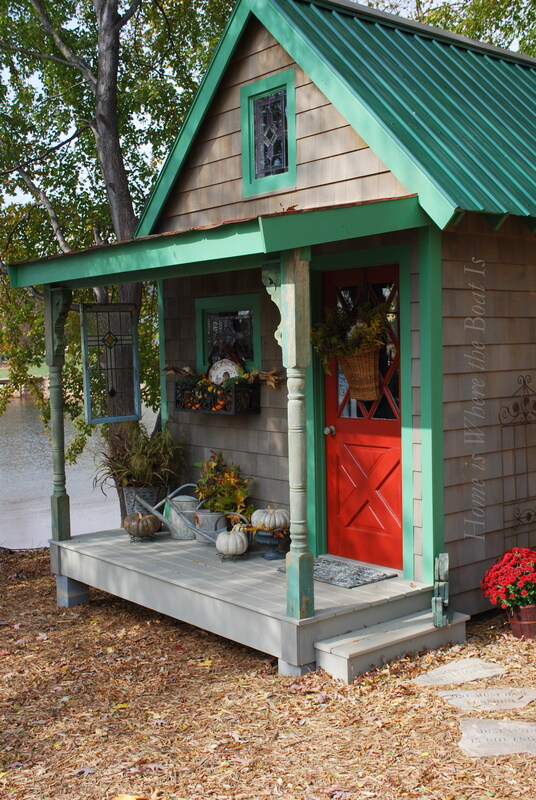 What a darling garden shed...so talented! Kim, thanks for featuring Mary. She is truly one talented lady, and one I consider a great friend. I'm in awe of all Mary creates at her beautiful home lakeside. 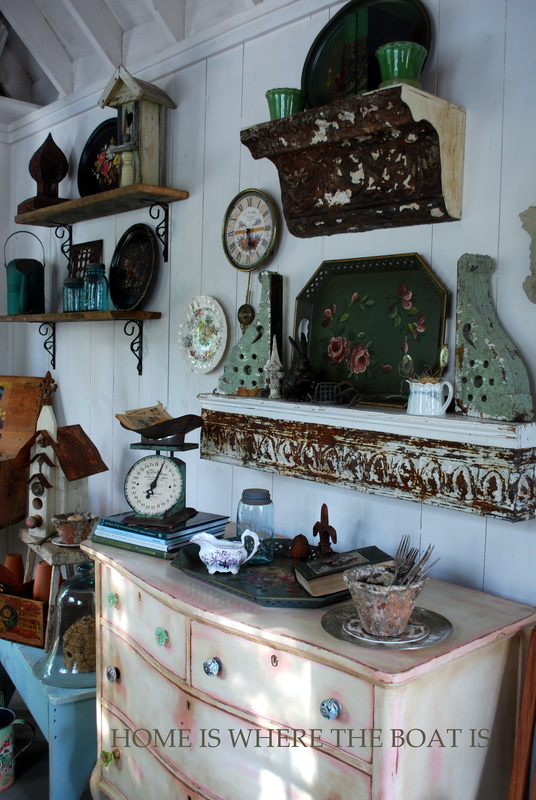 This potting shed is just the tip of the iceberg. Not only is she an incredible stylist, she is a prolific one. Like you, Mary is full of energy and gets things done. Kudos to both of you amazing ladies! I do believe I could just live in there...cute as a button! 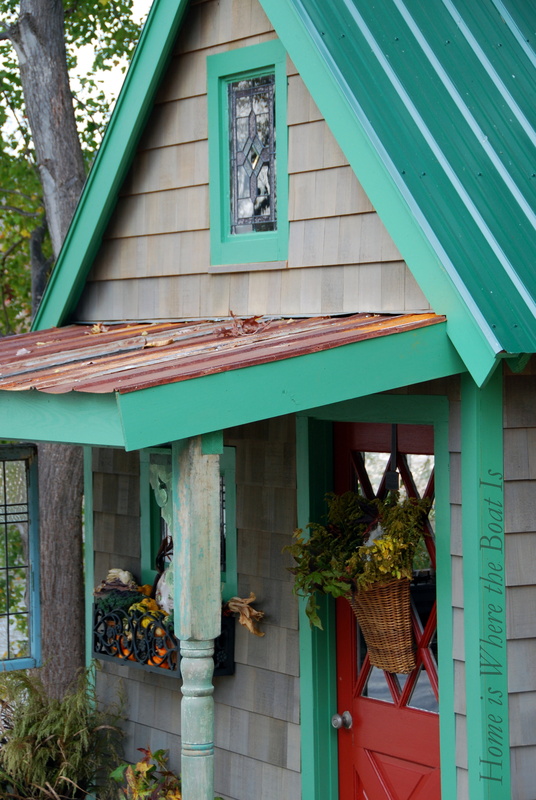 Mary's garden shed is fantastic and very inspiring. Great choice again, Kim, I enjoy your Friday's posts a lot (well, all your posts). This is so motivating. I have big garden plans this summer. I want to LIVE in that little potting shed!!! LOVE IT! What a gorgeous and lovley potting shed. She did such a great job. Wish I could have one of those! Hi Kim. I could move into that potting shed. I’ve been dreaming about it since I seeing it built and decorated. Mary did a great job. It look like a doll house for grown-ups! Thanks Kim for sharing this for all to enjoy. Happy Saturday, bet you are at the flea markets! Thanks for sharing this wonderful blog! What a perfect space to just let creativity go wild! Perfectly done! I'm going to go and visit more! It's a cross between a poting shed and a dream castle. I love the re-used windows. Oh what a lovely space! 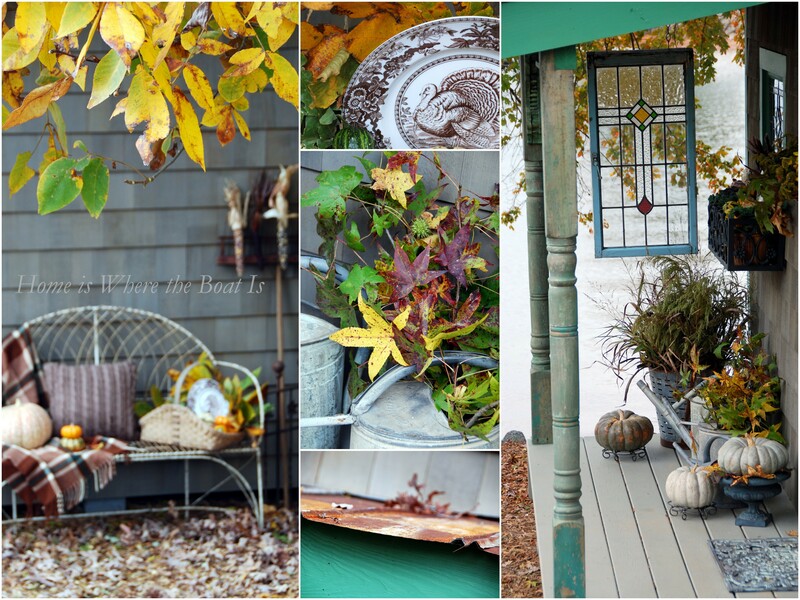 I love all the details Mary has put into this potting shed. It's a favorite place of mine too! Nice to see it featured! Would like to know where to get the building plans for this shed.